The Federal Bureau of Investigation () is the federal government’s chief investigative unit and one of the world’s . 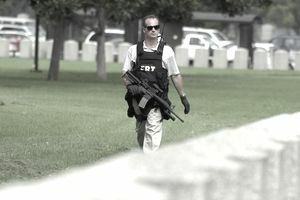 Special agents with the FBI investigate federal crimes and also play a role in maintaining security within the United States. Federal crimes are defined as actions that violate federal law, as opposed to crimes that are violations of state or local laws. Some examples of federal crimes include mail fraud, kidnapping, and bank robberies. Criminal activities that cross state lines often are under the jurisdiction of the FBI as well. A candidate must have a solid educational background and be able to pass extensive background checks and physical fitness tests to become a special agent with the FBI. Intelligence: The FBI gathers information and data from all forms of criminal activity to be categorized and analyzed, helping to build a database for use in future investigations. Counterintelligence: Investigating foreign operatives of other nations who might be gathering data on the U.S.
: Investigating individuals and groups that may be involved with planning terrorist activities on U.S. soil. Suspected terrorists who are the targets of investigations may be foreign or domestic. Criminal: The investigation of major crimes is the largest and most significant function of the FBI. Cyber: Protect sensitive government data from criminal threat, foreign or domestic. Agents in this area also conduct forensic investigations of computers and other related equipment that might serve as evidence for other crimes. enter as General Schedule (GS) 10 employees on the law enforcement government pay scale and can advance to the GS 13 grade level in nonsupervisory assignments. Supervisory, management, and executive positions are paid according to GS 14 and GS 15 levels. Agents also receive locality pay and availability pay—approximately a 25 percent increase in salary due to overtime requirements. Education: Prospective FBI agents must possess a four-year degree from an accredited college or university. Experience: Three years of professional work experience are required before joining the FBI. Background: Prospective agents undergo an extensive background check that looks into both suitability and security. The suitability portion of the check looks into any past criminal behavior or drug use, as well as financial status and past employment. The security portion looks into candidates’ personal backgrounds, including family history and any organizations in which they may have had membership. Friends and neighbors may be interviewed as part of this check. Training: All FBI agents begin their careers at the FBI Academy in Quantico, Virginia, for approximately 21 weeks of intensive training. During their time at the FBI Academy, trainees live on-campus and participate in a broad range of activities. Classroom hours are spent studying a variety of academic and investigative subjects. The FBI Academy curriculum also includes intensive training in physical fitness, defensive tactics, practical application exercises, and the use of firearms. Fitness: Candidates must pass a that includes five activities: sit-ups, a 300-meter sprint, continuous push-ups, a timed 1.5-mile run, and pull-ups. Candidates must achieve a minimum score in each category as well as a minimum cumulative score. Accounting and finance: Tracking money can be a major part of many different types of investigations. Information technology: Computers are a common tool in most modern criminal enterprises, so it’s often necessary to retrieve hidden data or monitor electronic communications. Foreign languages: Not everyone involved in investigations speaks English, so multilingual agents are particularly valuable. Legal experience: A strong command of the law can help take investigations into new territories or keep other investigations from being derailed because of legal mistakes. Military experience: The leadership and tactical training found in the military translate well to law enforcement in some circumstances. Scientific knowledge: Some evidence may be difficult to understand for someone without a scientific background or education. As well, experience with scientific research methods is beneficial to all agents. According to the U.S. Bureau of Labor Statistics, careers in law enforcement are expected to grow at a 7 percent rate during the decade ending in 2026. This is on par with the projected growth rate for all careers on average. The work environment can vary depending on which of the five career paths an agent follows. For example, those investigating cyber crimes may spend the majority of their time in an office working on a computer, while those investigating major crimes may spend more time in the field. Regardless, much time is spent analyzing data or other evidence and working with other agents or law enforcement agencies to coordinate investigations. Schedules also vary based on the career path of an agent. Even if hours typically follow those of a traditional work week, evenings and weekends will be necessary depending on the nature of certain investigations and the need for agents to be on call. Most FBI field offices cover a broad geographic area, so travel may be required when a case demands FBI attention. FBI agents must have a college degree. Criminal justice or prelaw programs are good preparation. Most FBI agents begin their law enforcement careers getting experience on a local or state police force or in a sheriff’s department. Know the fitness standards that agents must meet and be confident you can surpass them.